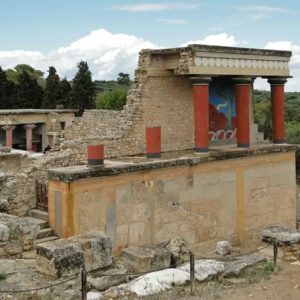 An escape for a few hours that will give you the opportunity to visit Aptera Archeological site which is one of the most important ancient city-states of Crete. Our next stop will be Ally Cemetery, a well-preserved place in a peaceful and relaxing location. Our last stop will be at Agia Triada Tsagkarolon Monastery which is one of the most important monasteries of the end of the Venetian Empire in Crete. 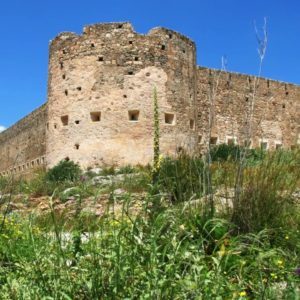 One of the most important ancient city-states of Crete, Aptera, constitutes a unique area of history, civilization and scientific interest. The “little Pompeii of Crete”, as it has been called, because of its monuments preserved so high, Aptera is a unique place that has an unprecedented effect on the visitor, who, rambling in the archaeological site, travels back in time, exploring, discovering and feeling that he walks among the highly skilled Apteraian archers and warriors. Dominating Souda bay, ancient Aptera constitutes the best to date organised archaeological site of Chania. It is located close enough to the city in a unique landscape with an impeccable view. It is not by chance that it has been chosen as the right place to celebrate the August full-moon. 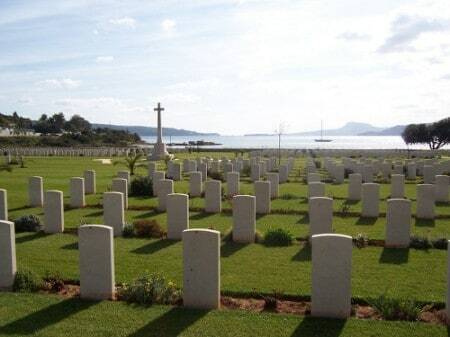 In the area of “Vlites”, west from the gulf of Souda, lie the graves of the ally soldiers who fell in battle during WW2. 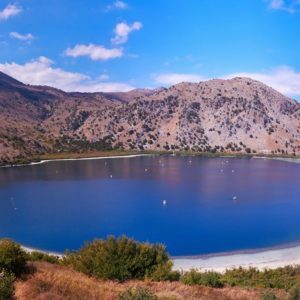 The cemetery was constructed after the war to contain the remains of all the Common State soldiers that fell in the Cretan battlefields and to express the gratitude of the Greek people. It contains the remains of: 862 persons from the United Kingdom, 5 persons from Canada, 197 persons from Australia, 446 persons from New Zealand, 9 persons from South Africa, 1 person from India, 7 persons from other ethnicities; a total of 1527 persons. 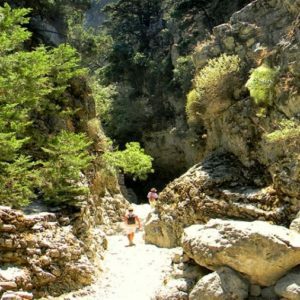 ry as it is also known, is one of the most impressive monasteries you will see in Crete. 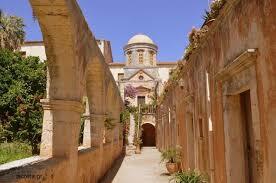 The Monastery of Agia Triada is located on the Akrotiri Peninsula, in the north of Chania Prefecture. 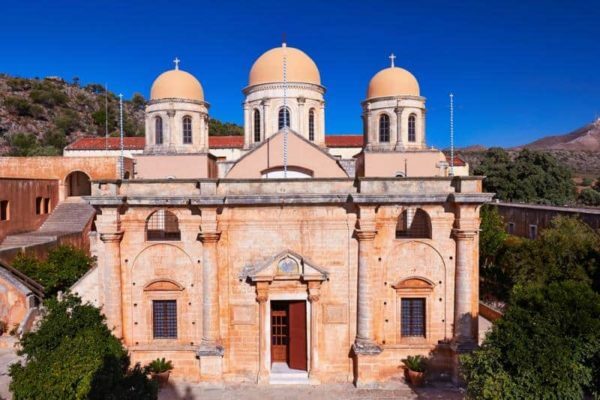 It was built in 1634, on the site of a small church dedicated to the Holy Apostoles. Tzagarolon Monastery is a square building complex with the monastery church standing in the centre of the verdant courtyard. Inside the complex there was an olive press and a cellar for the wine produced by the monastery, while on the south side is the monastery library, formerly the Abbot’s Room. 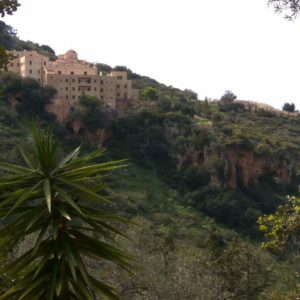 Even if you are not into religious tourism, the Monastery of Agia Triada Tzagarolon is well worth a visit. 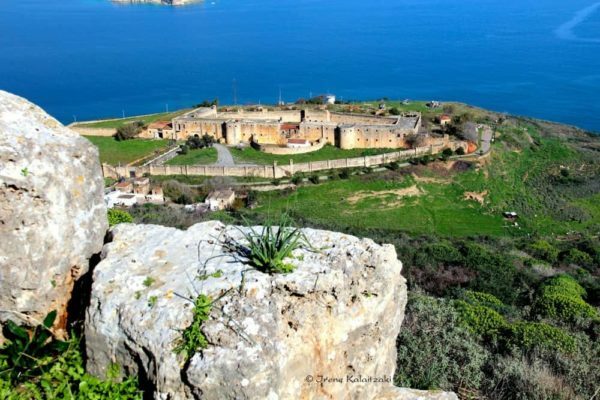 It is a lovely, peaceful and impressive place, something different for visitors who want to see the historical monuments of the island. In recent years the Monastery of Agia Triada Tzagarolon has developed the systematic cultivation of organic vines and olives. It has won international prizes and is mainly sold abroad. Naturally all the products of Agia Triada are available for sale from the monastery shop.